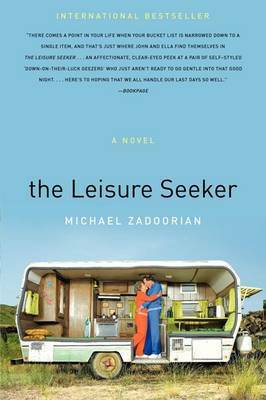 Now a major motion picture starring Helen Mirren and Donald Sutherland, coming January 2018 from Sony Pictures Classics Official Selection Toronto Film Festival Venice Film Festival "The Leisure Seeker is pretty much like life itself: joyous, painful, moving, tragic, mysterious, and not to be missed." --Booklist, starred review The Robinas have shared a wonderful life for more than sixty years. Now in their eighties, Ella suffers from cancer and John has Alzheimer's. Yearning for one last adventure, the self-proclaimed "down-on-their-luck geezers" kidnap themselves from the adult children and doctors who seem to run their lives and steal away from their home in suburban Detroit on a forbidden vacation of rediscovery. With Ella as his vigilant copilot, John steers their '78 Leisure Seeker RV along the forgotten roads of Route 66 toward Disneyland in search of a past they're having a damned hard time remembering. Yet Ella is determined to prove that, when it comes to life, you can go back for seconds--even when everyone says you can't. 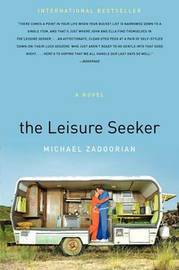 Michael Zadoorian is the author of Second Hand and The Lost Tiki Palaces of Detroit: Stories.